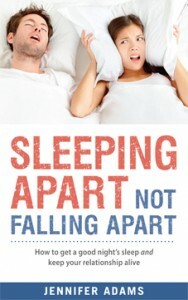 If you would like to buy Sleeping Apart not Falling Apart there are lots of online stores where you can buy the book NOW. You can buy it for yourself, or for someone you know who might be struggling to get a good night’s sleep. Why buy Sleeping Apart not Falling Apart? realise there are many options for sleeping arrangements each night – and every night doesn’t have to be the same – where you sleep each night is not black and white. It’s not ALWAYS in the same bed together or NEVER in the same bed together. There are options and you just have to get creative. Click on the link of your favourite online bookstore and you (or your friends and family) will be Sleeping Apart not Falling Apart. Want a copy to review?